Becca’s home, built in 1935, needed extensive work when she purchased it. 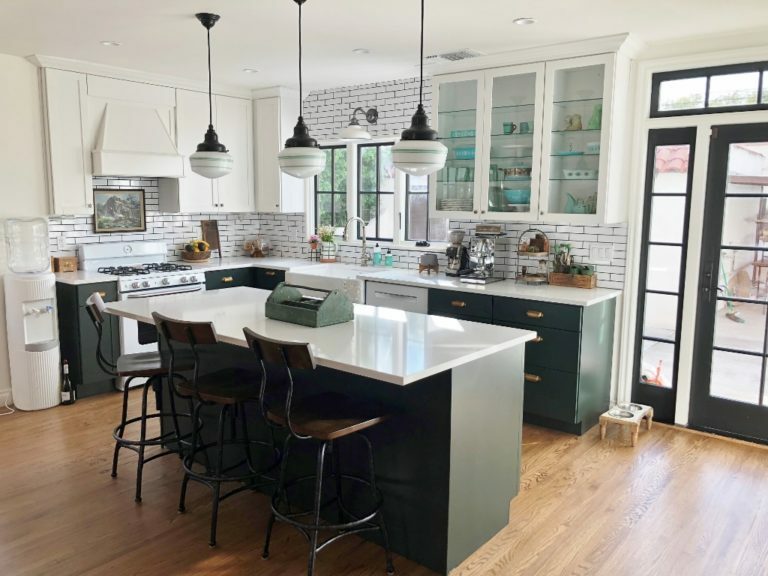 As a designer and principal of Alpenglow Interiors, Becca began renovations that included all new electrical, plumbing, and roofing plus a new bathroom. 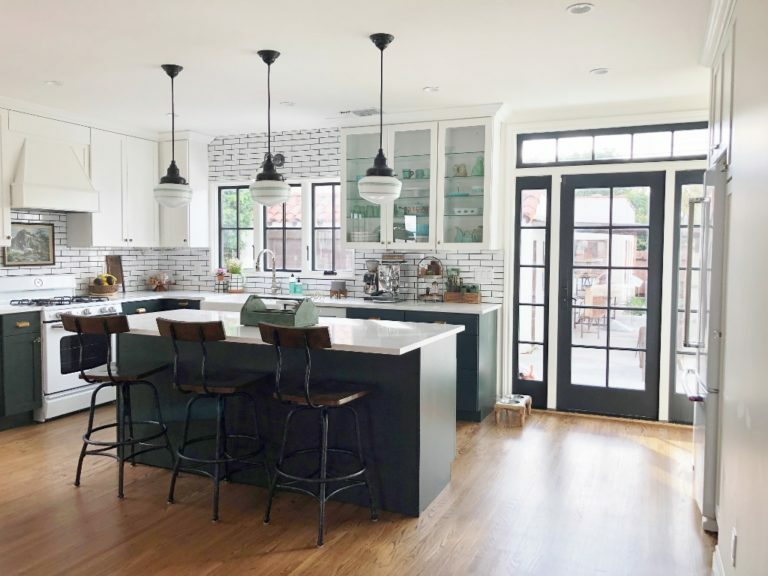 She created an open floor plan while restoring the original hardwood floors and preserving the original character and charm of the home. 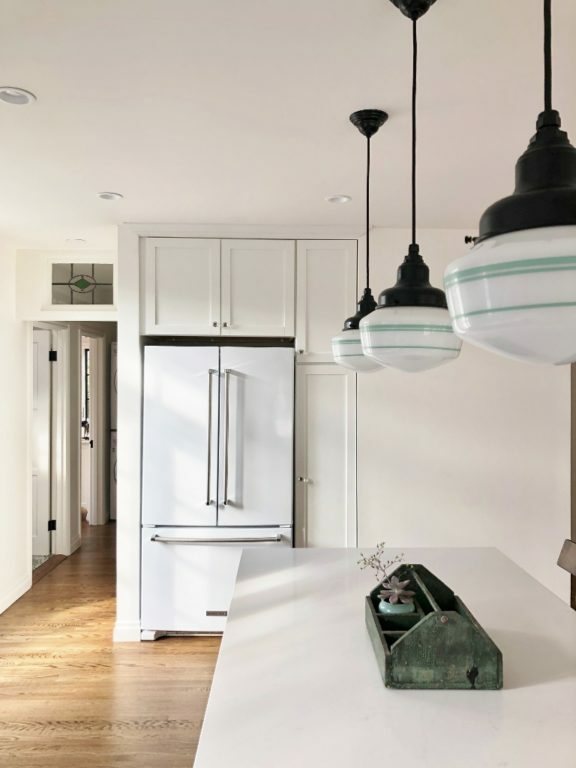 The kitchen lighting helped define and design the space. 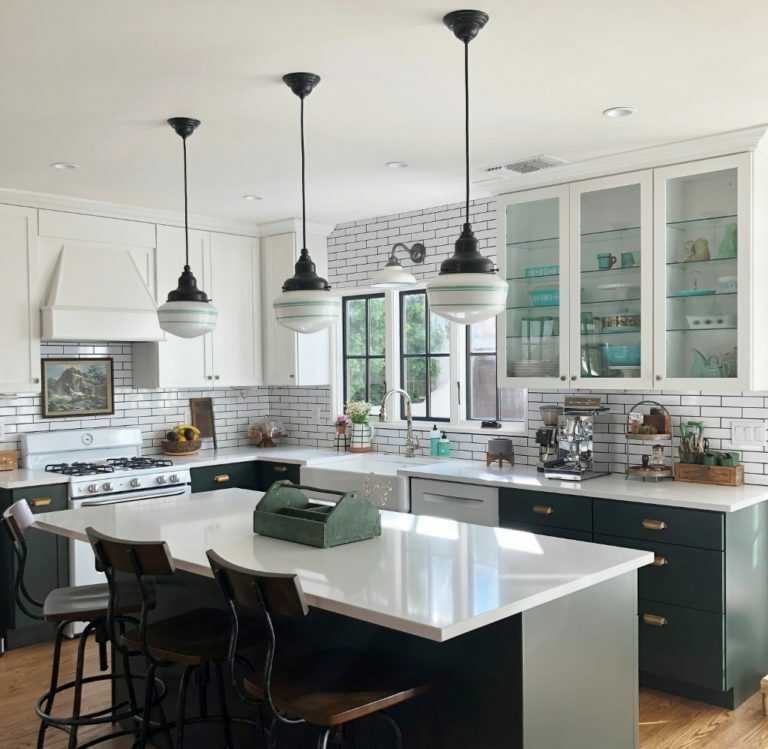 Becca search the web for vintage-inspired pendants and came upon Barn Light Electric’s schoolhouse collection. She knew right away they were a definite choice for the kitchen. 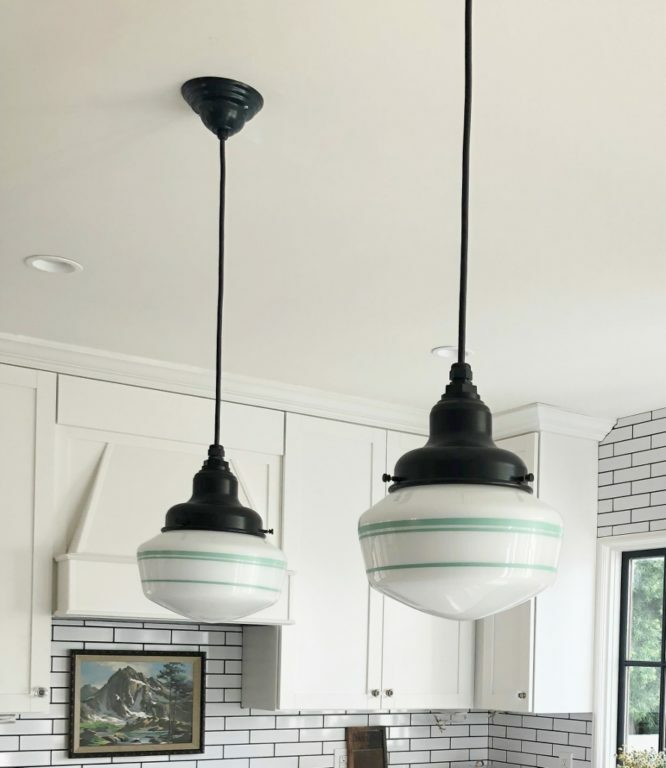 Becca chose the Elementary Schoolhouse Cord Hung Light for her kitchen. 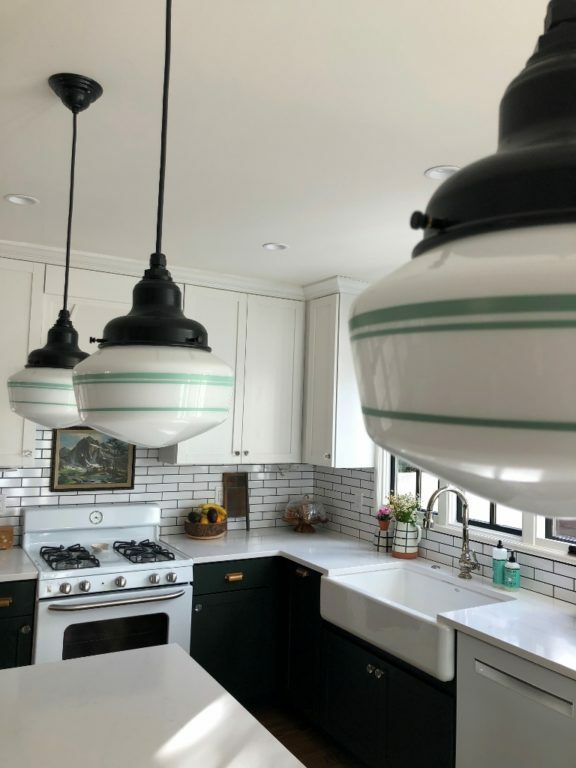 She customized these ceiling lights with small opaque glass, a black cord, and a triple painted band of Jadite. The Elementary Schoolhouse globe comes in small and large sizes and can be clear or opaque like Becca’s. Thirty finish colors are available, along with copper and brass, so the light can be tailored to suit most any style of home. 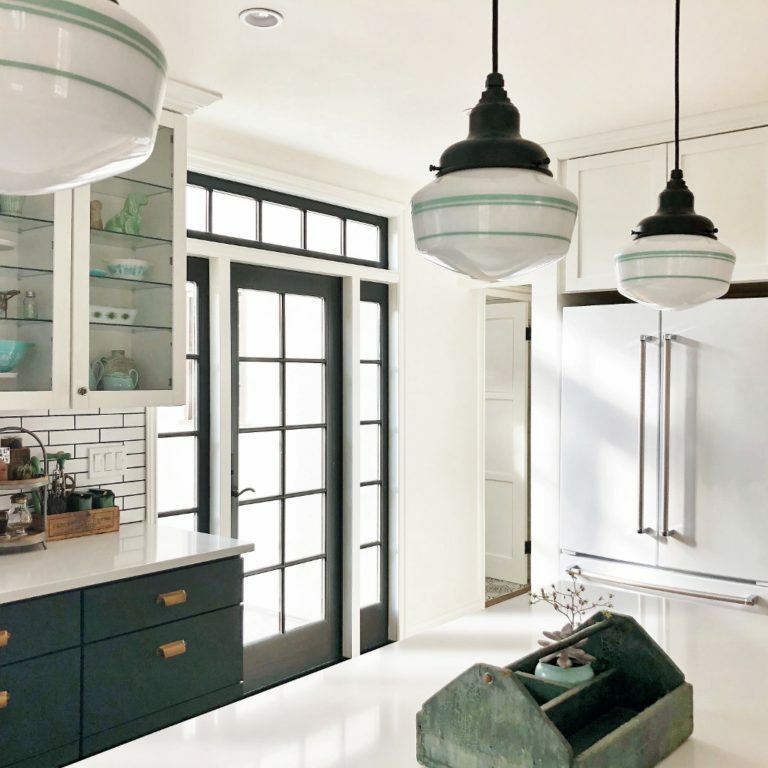 Colorful cording and painted band options add even more personality to these pendants. 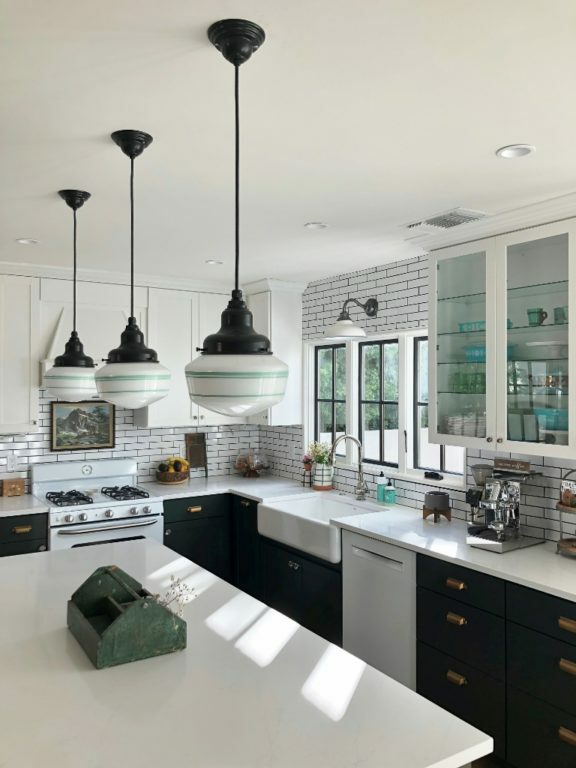 Although Becca installed recessed lighting in the kitchen as well, she rarely turns it on.